Former rider Michael Boogerd has been handed a two-year suspension by the International Cycling Union (UCI) for his involvement in doping. Boogard's suspension comes after he admitted in 2013 to doping during a 10-year period between 1997 and 2007. 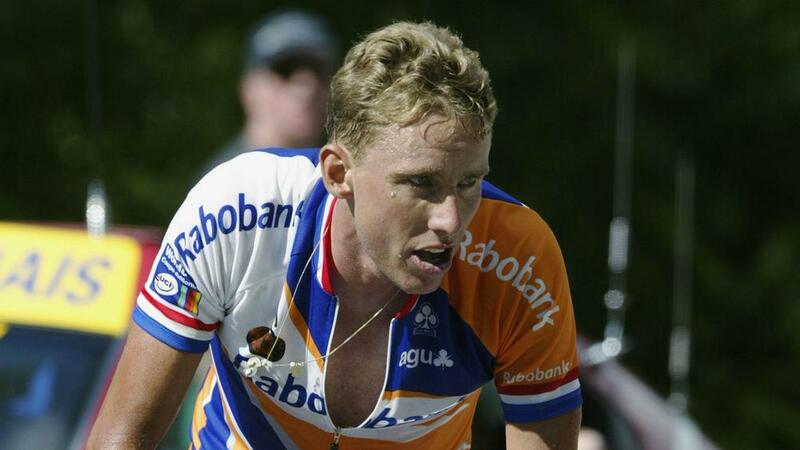 As a result the 43-year-old – who rode for Rabobank until his retirement nine years ago – will lose his job as sports director with Pro Continental team Roompot. "The Union Cycliste Internationale (UCI) announces today that Michael Boogerd has been sanctioned with a two years' ineligibility for the anti-doping rule violations he committed during his cycling career," a statement read. "The ban is effective until 21 December 2017. "The case has been resolved via an acceptance of consequences as provided for by the World Anti-Doping Code and the UCI Anti-Doping Rules." Boogerd won two stages in the Tour de France, one in 1996 and the other in 2002.